Understanding Goals is important as they are build out for a company. Below are a few facts that might help as a company gets started. 1. Who can create goals? Employees have the ability to create individual goals, not department or company goals. Department heads can create department goals (how to make an employee a department head). Admins have the ability to create individual, department, and company goals. 2. Who can see/view goals? 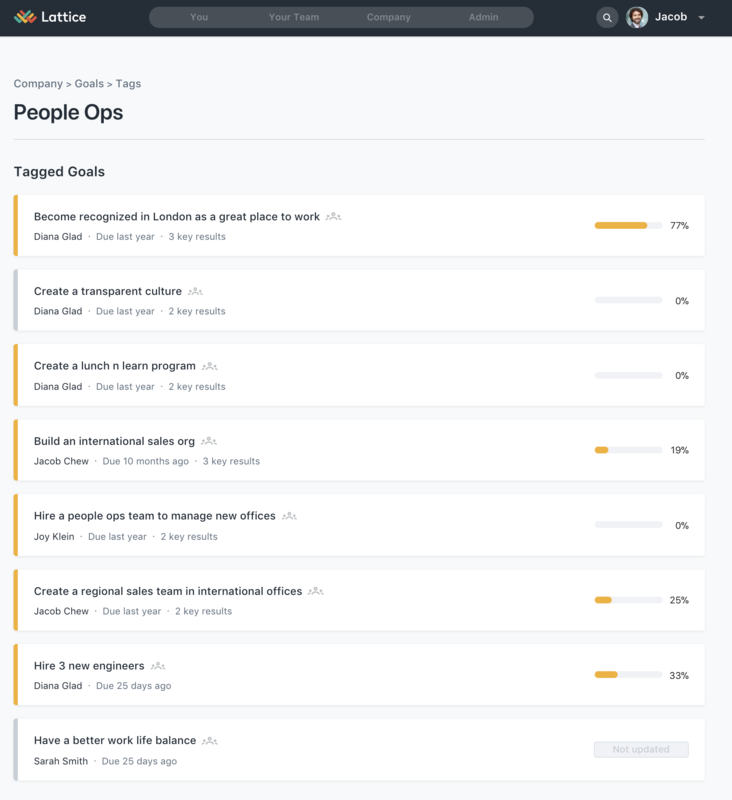 Employees will be able to see all public department and company goals by going to the Company Page > Goals, or Company Page > Department > Goals. 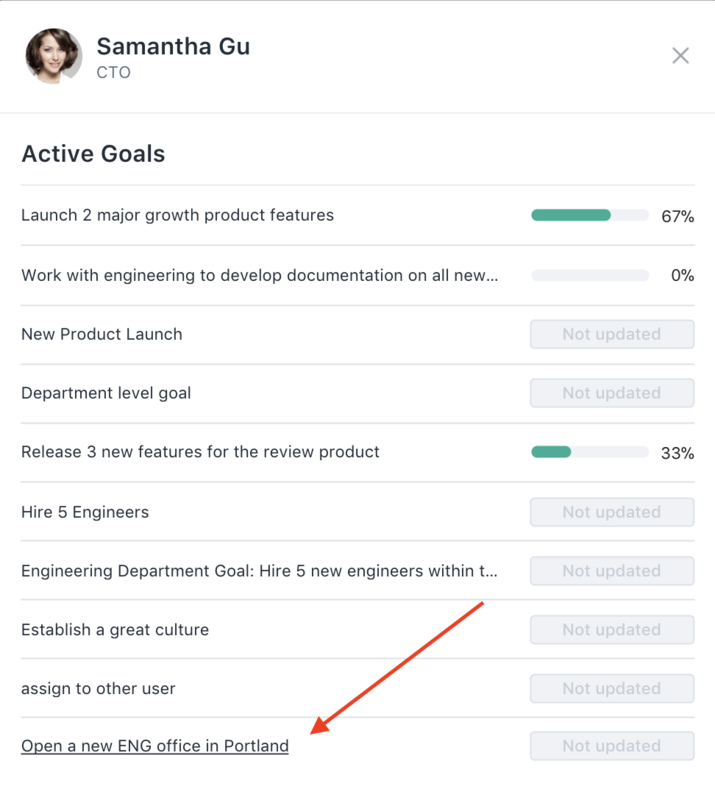 Employees will be able to see other employee's public goals by going to their profile pages. Managers & Managers of Managers can see all of their report's goals regardless of whether or not they're private. Private goals can only be seen by the individual, their manager, manager of manager, as well as the admins. Admins will be able to see all individual, company, and department goals regardless of being private or public. Employees can be reviewed based on their goal performance, by bringing active or ended goals into a review template. Read more about how to do that here. 4. When will a goal live on your You Page? Goals will only live on an employees "You" page when they are an owner of a goal. Anyone who creates a goal can add owners to the goal or change the owner of the goal. Ex. If an admin wants to create a department goal for a manager or an employee, they can do so by creating the goal. Choosing the department and changing the owner. Then, the goal will live on the new owner's "You" page. 5. Who can edit or delete goals? Only Admins can edit and delete all goals. Managers can edit or delete their own and their direct reports' goals. Employees can edit or delete goals that they are the owner of. 6. Who can Update a goal? Anyone can update a public goal. Only employees that have viewing access to private goals can make updates on them. The end date of a goal is when the goal was marked "complete." Employees must hit "complete" to mark the goal completed. This is because we give users the ability to "over achieve" or go over their goal. We suggest using goal tags to organize goals around major initiatives. For example, if a company is expanding into Europe (which can be a very cross-functional in nature), admins can create a tag titled ‘European-expansion’. 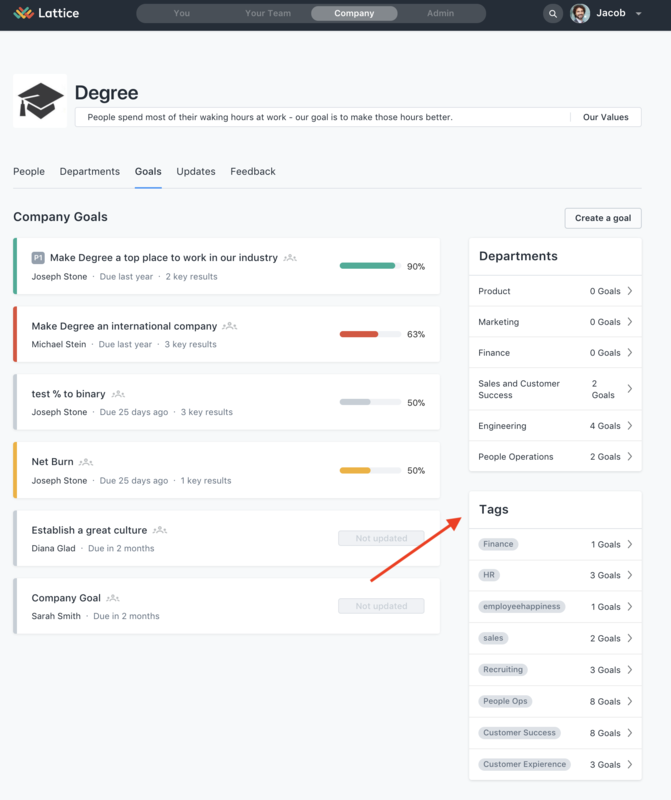 Then, when an employee is creating a goal, they can add these tags to their goals and anybody will be able to view all the goals with the same tag! Admins can go to Admin > Goals > and filter by State, Status, End date, Tags, or Department. This can be helpful in making sure that goals are private or public.